Volvo Construction Equipment was dominant at ConExpo/ConAgg in Las Vegas, introducing a new line of smart, powerful machines that ‘Push Boundaries’ and maximize productivity, including recent release wheel loaders, excavators, articulated haulers, asphalt pavers, soil and asphalt compactors, and compact equipment. Steve Multer and Andy Saks of Spark Presentations were the lead storytellers from the popular opening press conference to the “Iron in Action” 3D Theater and other stages. 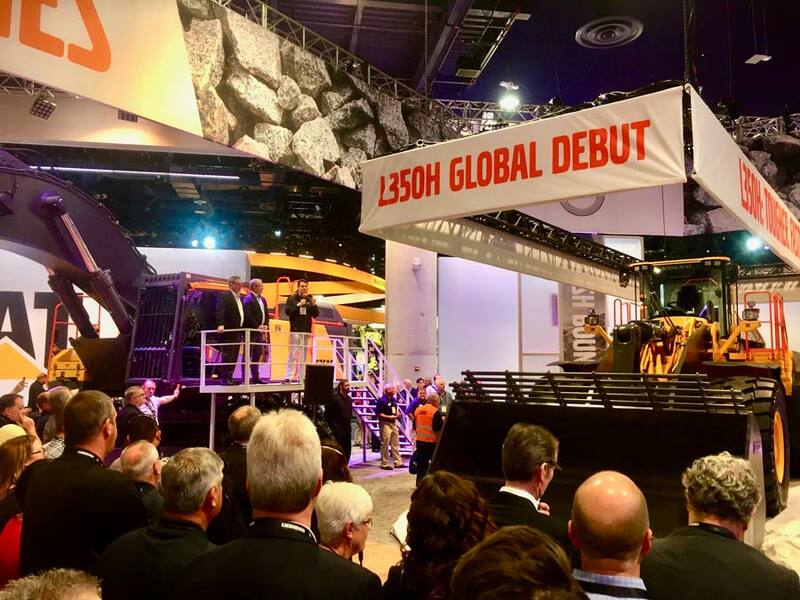 With total attendance topping 128,000, Steve and Andy spoke to visitors from across the US and 150 countries about the power of 28 machines, from industry-first size classes to technology advancements in machine interfaces and customer support capabilities.